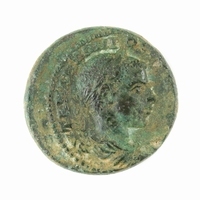 Obverse: Head of the nymph Larissa facing slightly left. Reverse: Bridled horse galloping right without rider. 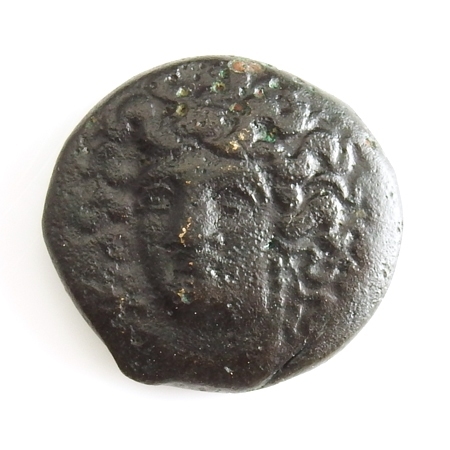 Tetrachalkon: an ancient Greek bronze coin denomination with a value of 4 chalkoi. 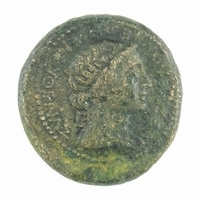 Thessaly or Thessalia, a region in Ancient Greece, stretching from Mount Olympos to the Spercheios valley. 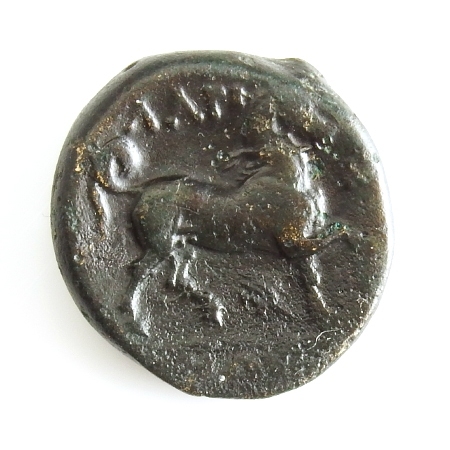 The Thessalian plains were ideally suited for cultivating grains and cereals and was known in antiquity for breeding horses, thus making the horse an appropriate symbol of Thessaly and a popular design on its coins.